A few months ago, in Mobile World Congress 2018, we announced our new cooperation with Planet Computers to bring Sailfish OS to their beautiful Gemini PDA device. As the first step in bringing Sailfish to Gemini, our friends at Planet Computers have today made the community edition of Sailfish OS 2.1 available for the Gemini PDA. This version has been tested and verified by both Jolla and Planet. As it’s a community initiative, the version is still somewhat limited, but essential features are supported. With this version you won’t yet get software updates or support for Android apps. Also the overall support is limited to our community’s efforts. Big thanks to the community for the help in making this possible! 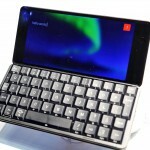 The start phase in making Sailfish X a reality for the Gemini PDA is making it available as a beta release from shop.jolla.com. The target is to start the beta release out in September. The beta release will support software updates – even to the final version when available and will have access to the Jolla Store, but it does not include any third-party component, i.e Android support won’t be included. We target to release the official Sailfish X for Gemini by the end of this year. It will be sold via shop.jolla.com. The full Sailfish 3 version will include all Sailfish features, constant SW updates, Android support, and full end-user support. 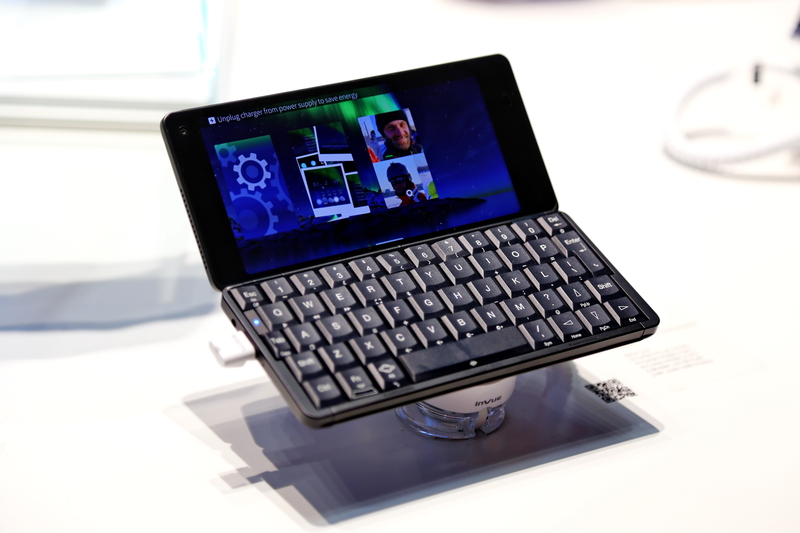 The Gemini is a 4G and WLAN device with a full physical keyboard. With a 5.99” screen, 5 megapixel camera and stereo speakers it provides a communications, media consumption and social media device for the 21st Century. Gemini comes in a variety of different keyboard language layouts, and more. 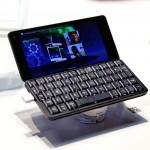 Read more about the Gemini PDA on Planet’s webpage or purchase a device in Planet’s shop. Sailfish for Gemini Community edition can be downloaded here. Thanks Ossi. Yeah, it is becoming a reality and the plan for it is very logically placed. Always good to see progress! Will offical Sony Experia XA2 support follow a similar release schedule? The XA2 release is not likely to have a similar release schedule as it should come out as a more complete package just like the F5121 did. It is a different case and story with Planet Computers compared to Sony. Thanks for the info, and it’s great to see some more progress. I appreciate these things take time, actually a lot of time and a lot of effort, but please hurry on the Xa2, as my Jolla battery is failing and I’m holding my breath for a replacement. Only joking, take as long as you need, but don’t give up. Would love to download the Community release, but the link on Planetcom’s website (http://support.planetcom.co.uk/download/x600_sailfish2.zip) leads to an HTTP-Error 404. Someone bring that file back, please! Thanks for your comment, and thanks for noticing this. The easiest way is to contact Planet Computers about this actually. They should be able to work with you and fix the problem. Where do you have this link from? Thats really good news. I’m very happy, that Gemini PDA will get official SailfishOS Support! It is indeed fantastic news that these two platforms are coming together! Very good news. Congrats to Jolla! Oh Jolla, please, please let me throw my money at you !!!!! I tried before, but there was nothing in the shop for me to buy. Not even a spare battery… So I went astray. Can’t wait to return to the sailfish community. I’m so hoping for alien dalvik support for gemini. Best of two worlds ……. cool, looking forward (and maybe starting to save money). 1- Regarding Sailfish 3 – what android version compatibility are you aiming for ? KitKat 4.4 like now ? or a newer more modern engine ? 2- Regarding Gemini : what’s your plan rwgarding alternative? 1- We are aiming for a newer version of Android. What exact version will be disclosed later when we have it in place. 2- Currently, Planet computers offers the Gemini PDA with a few different layouts IIRC, We will at least adapt to those. If we are going to make it configurable, that is still up for debate. But nice that you brought this up. This could be something to consider! > We are aiming for a newer version of Android. > But nice that you brought this up. This could be something to consider! Given that the biggest market for Sailfish X is Europe (being geolocked, etc. ), and Europe being greatly multi-lingual, it could make sense to have a solution to support other scripts than the one on the physical keyboard. > This could be something to consider! Another thing to consider, is support for “compose key”, like nearly all desktop Linux do. (i.e. : the sequence [compose], [u], [“] -> ‘ü’ ). That would help writing a language with a closely related script (e.g. : writing french, german or danish on a US hardware keyboard). There will be EN /RU layout keyboard. Almost all european language with latin script use a super set of letters US that lacks (French, German, Maltese), and though the cyrillic language I use (bulgarian) can be written with a russian keyboard, there are language that use a superset too (random example : serbian). Add to that, that the layouts might differ a lot (some french speaking countries are used to type on an “AZERTY” layout instead of standard QWERTY. Every slavic country seem to have 2 different locally popular layouts). I suppose this tittle of news is good. However, my question is “WHO THE BLOODY HELL USES A PDA AS SHOWN IN THE ABOVE ARTICLE? Didn’t those devices go out of fashion when smartphone debuted? All I care about is which Sony Xperia XA2 devices will support Sailfish 3. Furthermore, would it kill Jolla to make flashing a hell of a lot easier on Windows? Linux is the way to go, but try finding one and learning how to use it! Well, a smartphone or tablet is a consumption and communication device while a ‘PDA’ is a smartphone with a keyboard and is a mobile device for productivity, creation, communication and consumption. The difference to other productivity devices is that you can have it always with you. It’s also very different to devices with bluetooth keyboards or keyboard covers or to messaging devices like the Blackberries. You have to decide and know for yourself what you need and want. For browsing the web, watching videos and messaging, you’re fine with a smartphone. The Gemini is really cool and Sailfish OS is a good match for it. The only thing that is missing is Maemo’s capability of running arbitrary desktop applications (at least gtk). That’s a weak point for a productivity device. A lot of people actually bought the Gemini PDA and are receiving them too. A lot of people are buying them as we speak as well! It is a fantastic device with great tactile feedback which a lot of people are looking for these days. Also, it is an open platform, and Sailfish OS LOVES open platforms! About flashing: As stated earlier in a previous blog post, we are bringing an installation tool to the masses that brings a much easier way of installing Sailfish X on your devices. So please stay tuned for that! > “WHO THE BLOODY HELL USES A PDA AS SHOWN IN THE ABOVE ARTICLE? Didn’t those devices go out of fashion when smartphone debuted? Some people need to type a lot. A device with a keyboard makes it very easy to use as a mini terminal to SSH into a remote server for admin/debugging. Chat addict type faster on a hardware keyboard. It also makes it viable as a note-taking device. 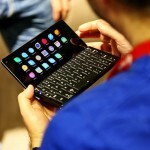 I personally use a high quality bluetooth foldable keyboard (the old 4-part W-shaped Stowaway / ThinkOutside keyboards). But this form factor is also popular to a point. For some people using a smartphone-style touch screen is hard or impossible. Various conditions (extremely dry fingers, age-related tremor, Raynaud syndrome) make touch hard to detect by the screen. BUT… will any of these devices ever come to that state that “everything” is working before you stop supporting it? I think that you should concentrate to finish first what you have started with your limited resources or you (actually we users!!) end up to the situation where we have multiple different hardware with unfinished software. Maybe you have just too much economical pressure to get something new sold in your store. As an old N9 , Jolla 1 “The First One” and now Sailfish X user it’s painful to see this slow progress of development and all kind of “beta releases” because it seems that resources are spread to all over. Just wondering why I bought fully operational Sony phone and paid 50 euros extra(tablet refund) to update it to “not so well” operating and limited phone that it feels downgraded. Maybe that is the cost for that Google can not follow you… or can it? As Ossi said in last blog comments Sailfish is still far from where Meego was over six years ago and I can not recommend Sailfish to any of my friends. I’m still fine with it, but don’t know how long. It’s working somehow, but somehow not. This is a good argument, but you need to understand, that a device could be as good as Nokia N9 or Android Device when you have a very BIG Team bind it. With Jolla its not the case. SailfishOS is not (yet) an OS for the mass market. I would also not recommend SailfishOS to people, who are not familiar with Linux. SailfishOS is a great OS. But its an OS for the Devs, Nerds and Geeks. If we would have more device running this OS, we would also see more Software, and maybe one day anything will run as fine as on Nokia N9. I think that first you have to finish what you start, like the return of the money from the tablets that never arrived. More than anything, if you want to get confidence today. I have my Jolla in a drawer, it’s a shame, but my anger does not allow me to use it. Well, guys, you need to understand that Jolla build it SailfishOS not for US (Community). Bacause we are a very small market. Jolla build it SailfishOS for big customers like Gouverments, Large concerns etc. We can be happy, that we still can use this OS. We are not a terget group IMHO. So, the first things which be implemented are the things, which are requested by the customers who bring money. Even Sailfish X is selling quite fine – this is not enough to finance the company and further Development. Jolla tries to find the way, where the money will come from the big customers. In this case, also we as a community will profit of this. But we are not a target group. If you realize this – than its very simple to understand, why many things are not got ready and why some bugs are still not fixed…. @ExPlit: Sailfish OS has become rather mature over the past years. To set up Sailfish OS may still be a hurdle for some but once this hurdle is taken, Sailfish OS and especially Sailfish X can be a daily driver for everybody. I don’t think you need to be a dev, nerd, geek or linux savvy to use it anymore. I am neither of this. I am senior and an alpha/gamma, not a tecnician. To my opinion Sailfish is easier to use than an iphone. The first iphones were intuitive, but now they have got so many features, so many settings and choices, that they are quite complicated. The biggest difference between a Jolla and an iphone was reliability. In an iphone everything just works. But I have to say that since the latest update my Sony XperiaX works well. Yet, not everything is possible with Sailfish, partly due to the absence of a paid store, (can’t download a bank app), partly because it lacks some features (can’t stream/mirror to the tv). Sailfish is usable as a daily driver, certainly, but it is not a rival to the big brands. And this will be the case with every non-google and non-apple smartphone. By the way… does anybody know where to buy the sailfish os phone accione p by Jala ? That’s still a good question. It seems nearly impossible to buy anywhere (last rumors said it’s only sold in Jala Store in Cochabamba, Bolivia). Even Jala / Accione Website offers bot chance of this. There seems to be a chance via jala’s facebook side (shop), but as I don’t have a Facebook account it’s not clear if you could really order one there. BTW it’s still not clear to me if Sailfish for Jala Accione is ready and if there are real Sailfish running devices. Remember, the phone itself was announced in two different version with same design, but running android or Sailfish. yes, yes…all good but STILL waiting on info on the XA2!! everything else is still fluff in the meantime! So you are charging for what the community do now? Then at least pay back the refund to your community. Nice to see a hardware QWERTY again. Nice to see progress here! Thank you James! Looking forward to read all of the plans for the all equipment with Sailfish 3. The Mali GPU on the Gemini PDA supports Vulkan 1.0, is support for it included in these plans? The screen should maybe be a little larger to avoid these big borders on right and left. No rear camera, really? The price is also on the upper side. 800 USD can buy 2 or 3 Sony Xperia X with bluetooth keyboards, right? Anyway, it’s a UK company and therefore costs and quality may be higher I guess. These are great news, but after buying 5 N900, 2 N9, 3 Jolla, 1 Jolla C will wait some months and se if it is a long term project. I bought 2 Psion 5MX years ago and it was a nice device with its epoc32 but Psion died and should say it is boring spending money and see that all the effort and time invested seems more a hobby than a real project. We need News about refund ! what do you think about missing kb backlit? Gemini PFDA has dual-boot with Android OS and Linux OS according to the specs. What is the result after installing Sailfish OS? Dual boot with Sailfish OS and Linux OS? Is both file systems mounted together (Linux seen from Sailfish and Sailfish seen from Linux? Read somewhere, you’ll have tripple boot then. This is really awesome. I can’t wait to get a Gemini PDA and dualboot Sailfish on it. @James you are refering to future BLOGS, so just wondering when. Asking you politely and kindly, when can we expect any news in regard of the refund ? In 3 days it has been 9 months since the last communication. We have communicated previously that *if* we have an update, which we do not have yet, we will update the refund blog post. OMG! I just looked up the price for one of these! It is nice to see that SailfishX will support different hardware. Could you please also get in contact with Fairphone again to deliver SailfishX on Fairphone2? mals port is very good and i think the support will require low project resources ..
Reading and writing this on my Gemini running Sailfish I can only say this will be a mariage made in heaven. The Gemini is the kind of mobile device I need, as pointed out in other comments, made for productivity, not consumption. Sailfish the OS best suited. I already hoped so and it turned out to be true. Swipes are the best companion for a keyboard centric device. No literal finger pointing required. Just swipes. Let see if we, as a community, can make Sailfish to use the full potential of this device. HDMI out (which may require some kind of mouse pointer/driver then, although I do own a GeChic monitor with touch! ), full usb, different screen resolutions, etc. As people are talking about money here as well. There are probably some hackers out there with time/knowledge to do some great contributions for the Gemini, yet lack the money to buy one. I’m willing to help out, did so in the past for a different device. Probably Jolla/Planet could create some kind of fund people can donate money too so these hackers could buy the device with a discount. Just my 2 cents. After that, jolla shall enabled payed apps to attract skilled developers. Where did I mention donating to Jolla? Donating to community members unable to purchase a Gemini, yet able to help with the SailfishOS development. Best done via a ‘(crowd)fund’ I think. Organized by Planet/Jolla. Apparently I’m one of the lucky (and happy) people that got most of the money for the Tablet back and bought one via eBay that cost me a lot more. Yet when I decided to fund the project I was aware that I might lose it all. It hurt when it failed, Jolla miscommunicated a lot, but that’s the risk in crowd funding people! I’m surprised there are still so many people whining about it on these blogs/forums. Waste of energy, bandwidth, whatsoever. Donating to community members is like donating to jolla. That said. Nothing wrong when doing that if people want to do it. Just think that jolla should finish what they started before getting help with new stuff, or atleast mention it here once in a while. I don’t think it’s about the money anymore. More of a trust issue. You simply can’t trust jolla. No money, no communication, no progress. Jolla should atleast have the money to refund a few backers during 7 months if they wanted. They should atleast have 30 min to write a blog post regarding the refund during the last 7 month. But no. Hope to see more QWERTY sliders, but before that. Somekind of progress in the refund project. Can you see the connection with Dave ? He’s basically some guy who thinks he’s been *massively* wronged by Jolla when the tablet failed and how he still hasn’t received his second refund. As you said, he’s been in the comments to every single Jolla blog post for years now, always complaining about how he hasn’t received his second refund, how he thinks Jolla isn’t communicating actively enough, how he can’t trust Jolla and posting that video with his alt account. I asked him once what he thought was an acceptable standard on communication and he, with a straight face, said that Jolla should have an update on the refunds at least once every two weeks even when there’s nothing new to report. The guy obviously doesn’t have a life when he can spend so much of it stalking the Jolla blog. At one point you could more or less be guarantee that he’d be in the comments, doing his usual moaning, to a new Jolla blog post within an hour of it being posted. However after about a year of this he stopped after it was pointed out to him repeatedly. Are you really listening a world? KaiOS is gaining popularity in feature phone segment. If you dont pick this segement then may be you loose large amount of money. In India KaiOS making popular because of JIO. Please take it in consideration and speedup the process to launch sfos in india for both feature and sfos x phones. Otherwise it will be too late to sfos…..
forgot about it. its a proof of concept! Jolla need business customers, but not in this segment. KaiOS is a descendant of Boot-to-Gecko aka Firefox OS. Basically a browser interface running HTML5 apps. If WhatsApp is officially comming to KaiOS, it will very probably be a webapp (similar to the web.whatsapp.com desktop webapp). (I’m ready to bet that they’ll basically use the same approach, except running the WhatsApp service somewhere on their cloud instead of your Anroid Smartphone on the same Wifi). This means that community could port it easily to Sailfish, and to everything else under the sun. I know, Jolla teased on MWC in Barcelona this year, that Sailfish OS 3 is coming for feature phones. I certainly will not lose. If KaiOS manages to grow, virtually *everybody* wins. As I’ve said above, KaiOS is in the family of Boot-to-Gecko and Firefox OS. Basically the whole phone interface is a web-browser. Apps on KaiOS are simply web apps. If KaiOS become popular enough for company to start producing apps for it, it means that it will be very easy to support them on other compatible browser. Virtually any platform could do it, not only Sailfish but even Raspberry Pi. If WhatsApp on KaiOS isn’t varporware, that means it could run on nearly anything with a semi-decent CPU. (But as I’ve stated before, my opinion is that KaiOS’ WhatsApp port is going to simply be web.whatsapp.com, except that the Android server runs on their cloud sever instead of your other smartphone/tablet/Android TV/whatever other Android enabled widget. So even worse security-wise. Basically you could throw any semblance of security that axolotl/openwhisper protocol – albeit on closed source software – did bring to android). The other risk is for KaiOS to “pull a Google’s AOSP” on us. i.e. : now it’s directly based on gecko and firefox and everybody can port it to whatever they want, but by version 5.0 most apps will heavily rely on a proprietary extension that KaiOS are guarding jealously. I’m really puzzled here – whatsapp is a well known spyware. Usually SFOS users give lots of importance to privacy. See the contradiction there? it has been many years from the start of sailfishos, we still have no been given native big apps like ……. still no word about the Xperia XA2 huh?! I am the happy owner of a Gemini, bought because I wanted a small portable computer with cellphone capabilities. And by computer I mean ‘runs Linux or similar and presents the OS to me’ and ‘has a keyboard’ and ‘can hook up to a real display’ and ‘can have a real keyboard and mouse attached’ – these last two for when its at home on a desk. The Gemini seemed to promise all that, and after a bit of a struggle with Planet’s partitioning tools, I managed to get the offered Sailfish OS installed and working. Yep, it’s a Linux. (Not a surprise to those here). I can happily ssh in from my Mac and have the machine behave just like a real computer. Its keyboard works – and the arrow keys are a big plus. Good for editing typos, though there are many fewer with a real keyboard than on an iphone. I look forward to the product release, but meanwhile – hey, nice OS! So this is why some Android apps don’t work properly or not at all in Sailfish. And why the people who challenged Google’s Android deserve our admiration. I very much hope that the EU fine will lead to more competition and more choice. Actually, no. That’s not the reason. At all. First Sailfish doesn’t rely on Google’s App, for most base apps (E-Mail, etc.) it has its own native apps. The Google *service* (page 3 of the article) is the only proprietary piece that is slightly problematic. Some devices, like Sony Xperia X are already licensed for Google’s proprietary service. On these devices, downloading and installing Google’s Services yourself is entirely legal almost everywhere (except in places like China where the services themselves are illegal). Other devices, like Jolla 1, etc. aren’t licensed. But even if you’d technically be violating Google’s license and be in illegality in nearly all jurisdiction, there’s not technical limitations preventing you from doing it, and there are plenty of tutorials how to install Google’s services on your phone (and it works, and suddenly all the app that necessarily require it work). (And also, we should point out efforts like microG which try to provide compatible opensource re-implementation of the services. That would be a legal solution everywhere, once it matures enough. But given the “moving target” nature of Google’s proprietary service, except it to be in the same eternal limbo like Wine on Linux. It would probably cover most of your basic needs – including that weird app that your banks insist you should use as a 2-factors authorisation. But it wouldn’t probably work with the latest greatest Android MMORPG/MOBA/BattleRoyal/whatever). The reason some apps won’t work is due to 2 main factors. Well actually 3 factors, but the third is something that you can fix now. This 3rd factor is that sometimes, there are a couple of APIs that are neither provided by Alien-Dalvik, nor provided by the Google services that you can download. So you need to get and install a few libraries your self. (search together.jolla.com about how to support the Coop SuperCard swiss app). The two main reasons are linked to Alien-Dalvik. 1. Alien Dalvik is a re-implementation by Myriad of Android’s Dalvik – “kind of like JVM JIT engine”. Android used Dalvik up to version 4.4 Kitkat. Starting from version 5.0 Lollipop they switched to something completely different (ART – Android RunTime – it’s AOT instead of JIT oriented). Thus even on the most recent phone with modern Linux kernel that have all the necessary bits like the Sony Xperia X (unlike the older Jolla 1 currently stuck with a too old kernel anyway), Sailfish X is still stuck on Android 4.4 Kitkat because that’s the most recent thing you can run on a Dalvik-like engine. There’s not way to run the original 6.0 Marshmallow/7.0 Nougat and upcoming 8.0 Oreo on Sailfish X’s Alien-Dalvik. So any app requiring 5.0 Lollipop or more recent is hosed. Alien-Dalvik only has limited drivers that give access to the hardware. For some reasons (NIH syndrome, mostly ?) Android relies on different APIs to access hardware than your average garden variety of GNU/Linux. Every GNU/Linux under the sun uses BlueZ to access it. Sailfish is no exception (and that’s how you can get several native Sailfish apps directly accessing bluetooth devices – that includes the Pulseaudio server that can address Bluetooth audio devices). Android uses their own Bluedroid instead. So any App that actually needs to access raw bluetooth device can’t. Thus, taking again the example of a Bluetooth audio speaker, you can’t use the manufacturer’s app used normally to upgrade firmware, tweak internal settings, etc. But, because Sailfish’s Pulseaudio support Bluez and because Alien-Dalvik has the necessary drivers to forward sound between android apps and sailfish, you can still use the same Bluetooth Headset to make calls using android apps like WhatsApp. Now the thing is, both could be immensely improved if Jolla could move to some more modern Android compatibility layer (random example: if it banded together with a few other actors – like Purism – and they all supported paid development of Andbox). So there might be improvement over the technical barriers that prevent some apps of working. – managing to get a licensed copy of the Google Services if the device is actually licensed with. – alternatives like microG progressing enough to be viable for at least the most needed apps. Thanks for this explanation. All this is not only a legal battle but also a political one.I have said that I hope that Google will allow a fair competition and I still have that hope, but it is not a quick fix, because of the cleverness of Google. Concerning the first EU fine about shopping results in search, Google ‘solved’ this is such a sneaky way that nothing has improved so far. https://blog.searchmetrics.com/us/2018/01/29/google-shopping-revamped-fairer-to-competitors/? The Open Markets Institute (US) thinks that dismantling of Google will be the only solution, but this can only be done in the US by Americans. This week it was revealed that Google has donated 4 million to Dutch media, including broadcasting and the official news agency. Google appears to have a preference for certain media. Most of these media will get a channel on the Google homepod that soon will arrive. This is a kind of ‘charity’ that enforces G’s grip on our society. So this is, among other reasons, why I use Sailfish and why I search with Qwant and Duckduckgo and try to avoid anything googlish. Indeed, it could be helpful to coöperate with other ‘third option’ parties, like Purism, Eelo.io and LineageOS. And try to get funding by the EU. I just installed yesterday LineageOS with microG on my old Nexus 5. Unfortunately the battery life is still bad, but that is a Nexus illness. However, these guys could create something from the googlish Android that I really do like. In some way it’s better than ever. In France a Mandrake developer (Gaël Duval) is busy turning LineageOS into a new smartphone (/e/, Eelo.io, meant for ‘everyone’. He just started and probably he could learn a lot from Jolla, because Jolla is advanced and experienced in sailing around cliffs and in falling and uprising again! Trying to get the community version running on my Gemini now and am troubled to see that even an all-Linux/Sailfish system requires what Planet calls “The Base firmware contains the basic Android firmware. This is the main component . . .” Am hoping that Sailfish 3.0 for the Gemini doesn’t contain any Android. Do we know if it will? So, it is Q3 / 2018. I’m looking for your next steps, Jolla. @Jolla, any update regarding SFOS 3? where is that blog that is especially for this new build, we are kept in the dark regarding the roll out of SFOS 3,they said Q3 but time goes fast and almost already Q4. But i am patient , my XA2 is waiting , just using andy is getting on my nerves lol. James, I guess most of us just want to know if Jollas Timeframe (Q3) is still actual or if we’ll have to wait a little longer. To my mind it’s better to state now that Jolla needs more time than keep the customers waiting until the last day of September to say the same (just as example, but development needs unexpected additional time sometimes). Idk what time zone you’re in but it’s still early August here, or ~80% into Q2. This is in my timexone. Idk if it’s a language thing but to me “Q” stands for “quadri”, meaning 4. So Q4 doesn’t exist. Q stands for “quarter”?? lol I had no idea, funky english! I’m used to counting the months, not the fractions of one year! But either way I was wrong, we’re Q3 then, sorry for the noise! BTW: Try to get out of the sun occasionally. Not sure who’d plan a launch for August btw. Right now normal people are on the beach getting a suntan and tossing water balloons at each other. Call me a dunce, but is one supposed to flash a Xperia X F5122 the same manner as a X? I ask because it says Xperia X F5122 supports Sailfish OS, but Sailfish OS was only available for X initially. In other words, will the original Sailfish OS download work on X F5122? If i recall correct there is a special image for F5122, if u want to use the same license u can transfer it , change of imei etc. 1) Make big, exciting announcement regarding some new development/product to keep stringing people along lest they get tired of forever hanging on for Jolla to deliver or turn to a product already available on the market. 2) Make sure this announcement is made waaaaaaaaaaaaaay in advance of new development/product actually being available to purchase. 4) From that point onwards be really vague about any updates regarding how new development/product is developing. 5) Then a few months later, simply act like there was never an announcement in the first place! That somehow sums it up about my thought also, good points! When when it comes to Community project like crowdfunding you have to be more open. More correct, direct in you communication. Smart! If you guarantee that the supporters will get it. You better deliver or you refund. Fully! Finilize the project before going forward. Given that you want customer to trust you. Then you can go back to the blackbox business model again. Doing what ever you like again. Actually I think Jolla have done OK. Yes, they have been late on delivering some releases but they have pretty well eventually delivered what they have said they would, Jolla Tablet excepted. I don’t think some posters realise the difficulties involved with development. Some problems take much longer to resolve than originaly envisioned. There’s no future in releasing an up date unless it works. A concern here in the states: Will the Jolla store become available in the U.S.? It’s not now, and this kind of cripples those of us who look forward to 3.0 and the beta program for our Geminis. That’s in addition to having to recompile Linux applications to run under Wayland. Almost two months and no comments? Have you left the business or are you bizzzy with the tablet refund update blog post? Anyway. Hope you had a top notch vacation and are ready go back to work with a smile. You and me have to light up this place. What will be the next move from jolla? Simple: great achievement, SFOSX is available for the Gemini PDA! Yaaaay! Still continuing loosing the trust? No tablet refund + no open source os + not open in communication = nothing learnt! Nokia is already ahead considering its problems! Without being open and not taking the responsibilities, business cannot be made! Totally agree with ur last sentence, as expected they keep us sailors in the dark on updates from the SFOS 3 and regular builds and refunds. On my Xperia I have in settings icons for CalDAV and CardDAV, but I can’t set up an account. When I try that, I get a mention that there is problem with making an account.Couldn’t find answers on together.jolla. . Can anyone help me? Update: after many trials I succeeded in setting up CalDAV, but only with tapping the CardDAV button, not the CalDAV button. The account was made and after that I pushed the CalDAV button too and it stayed on. But no synchronisation, it simply doesn’t work. Can you fix this in de next update? Dear Jolla. You are afraid to tie your hands up with dates and timelines. I can understand that. And in general it’s a bit unfair state of matters for you (Correct me if I’m wrong; Apple and Android don’t share anything about their next moves). The thing is, they have a working full released product. But we in the the Jolla fanclub are waiting to get functionalities in our Xperia X to work without big flaws. For example losing network problem is a major bug. Still you’ve stated ”there will be coming still two major updates before the release of SFOS 3”. How is that anymore possible when there is one month left of Q3 (original target of SFOS 3 release)? I atleast, don’t mind if you don’t nail some time frames. That’s how human nature works, we are always late for something. But it shouldn’t be so hard to write a bit blog post, like: ”we are now doing this, advancing with that”. Or atleast something. People are writing here that they had no choice other than to go back to Android when they had no idea about very much awaited fixes via updates. And you could have saved many many sailors not switching away with a little communication. 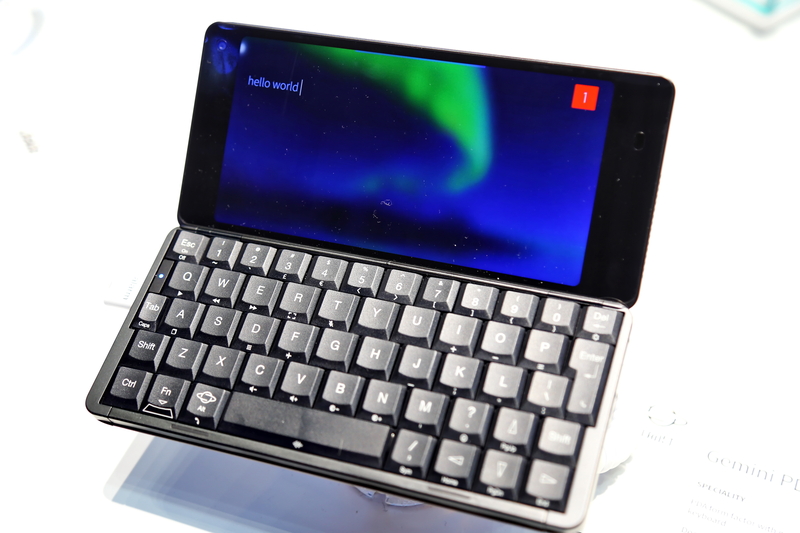 Can you Jolla really afford this? The new blog post is just around the corner.. me thinks..
… indeed, there should be one post coming any moment now. is James Noori on vacations ? I won’t complain : we’re still getting our update, Yay! I know many are waiting for a new android compatibility, yet I am patient with this. I hope these wishes can be implemented in Sailfish 3! However, a bit alarming is that installation has been looking ready for over one hour, but the phone does not restart by itself. Is this release compatible with Jolla phone? not only is it compatible with Jolla 1, but they even fixed a few specific security bugs (according to the Release Notes on together.jolla.com ). That’s good to hear! Even the phone heard it (or the battery was too low) and I noticed it was no longer showing full install phase as it had done for the last four or so hours. I just got it up and the version is 2.2.1.18 Nurmonjoki. So far so good! Downloading and installation went flawless on XperiaX. Indeed downloading takes a while, but that’s normal. So thank you, Jolla team. To my regret CalDAV/CardDAV still does not work. Mail: notes is added, and it is possible to search, but no archive or maps. Browser: the share icon only works with mail. Although I like the simplicity and elegance of the OS, and I don’t need iOT, assistants and biometrics on the device, I am waiting for some progress in these basic functions. System update 2.2.1.18 is available! Only 3.5 weeks left to go and you can upgrade to Sailfish 3, yet another milestone! Communications? It really has been very quiet for a long time. Speaking usually helps, eneryone. I bet we know more on Sunday. Is there any update on availability in North America? I’m here in the US hoping the lack of availability on the store page is due to payment processing like how sailfish x rolled out. 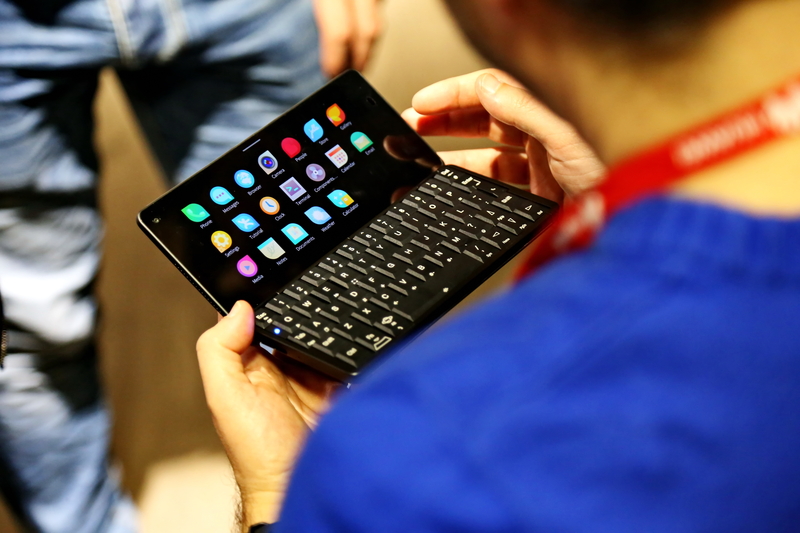 I own a Gemini PDA but would consider selling it if full sailfish OS isn’t available. The Gemini and the recently announced Cosmo don´t have an option to purchase with Sailfish, (or Debian), preinstalled, just android! SFOS and other choices, (for the more discerning client! ), are only available via a clunky diy flashing procedure. Shame really, especially as they seem to have listened to feedback in other respects looking at the new model. I´d even convinced my better half I needed a new device. On a more positive note, I´ve just got a replacement battery for my tired Jolla phone, giving it a new lease of life just in time for Sailfish 3, which I have installed no fuss and have to say is beautiful. The improvements to the UI alone add functionality while retaining the smooth intuitive feel we all love, you folk just keep on giving. It looks like I´ll get a few more years out of my groovy Jolla after all. Hi Vesa-Matti, do you have any insight on when Sailfish for the Gemini will be available? I tried the community edition and really liked the UI but really need the Android support. Commenting on behalf of Vesa-Matti: Thanks for feedback. Unfortunately, I can not go provide furher details. Schedule and other details of commercial release will be communicated separately, when it’s right time for us. Still no Android support for Gemini PDA on end of the first quartal in year 2019 in commercial version. The Browser is still as lame as before OS Update 3. The GPS power bug is still present. The screen resolution is also “buggy” (keypad unlocking doesn`t show the numbers your are typing). Keyboard shortcuts not working. And last but not least the new menue is not “other” anymore and has a boring look. The older one was 1000 times nicer and in combination with powermenue 2 it was so more useful!